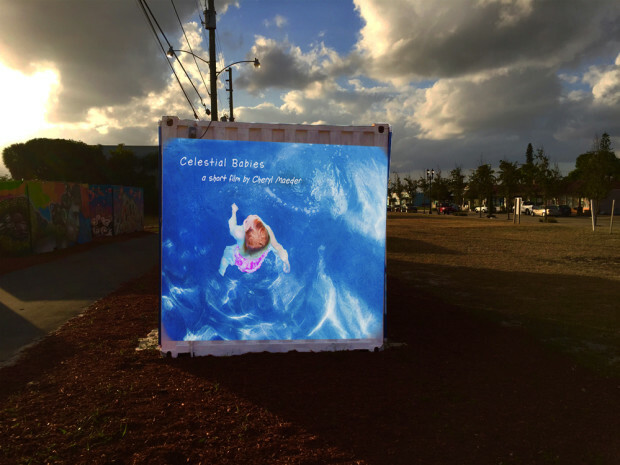 Artist Team Cheryl Maeder & Marilyn Walter were selected for Canvas Outdoor Museum, City of West Palm Beach. Artists were selected from all over the world to participate in bringing art to the City. Our Artist Team was selected to create the Celestial Babies Project for Murals and Celestial Babies Film Installation on Shipping Containers. To create an Interactive Installation, Artist Team, Cheryl Maeder & Marilyn Walter, created QR Codes on the Two Celestial Babies Murals. With the QR Coding, the Viewers at the Installation, can now link their phones to the actual Celestial Babies Film. 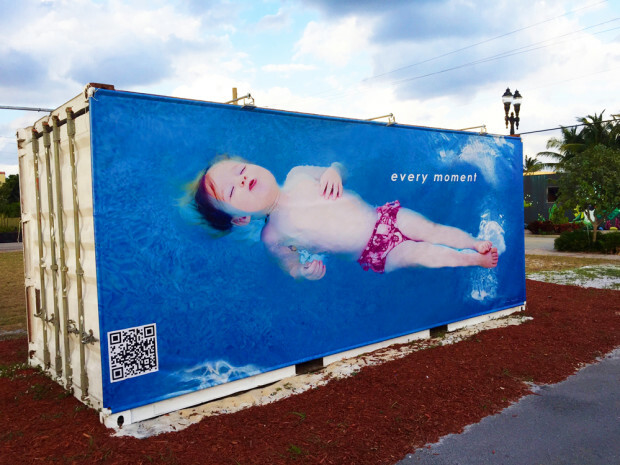 The goal for the Celestial Babies Project and Canvas Outdoor Museum is to bring Public Art to the City of West Palm Beach. 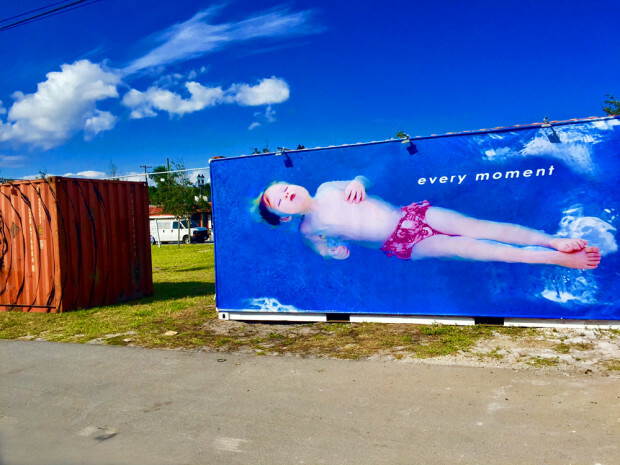 The Celestial Babies Photographic Murals were placed on the Shipping Containers, as well as the Celestial Babies Film, which was projected on the Shipping Container. The theme for Canvas Outdoor Museum this year was Connectedness. Celestial Babies Project both in the photographs and in the film are about Connection. Taking the journey to submerge within to connect with the Self, Each Other, and the environment that surrounds us. 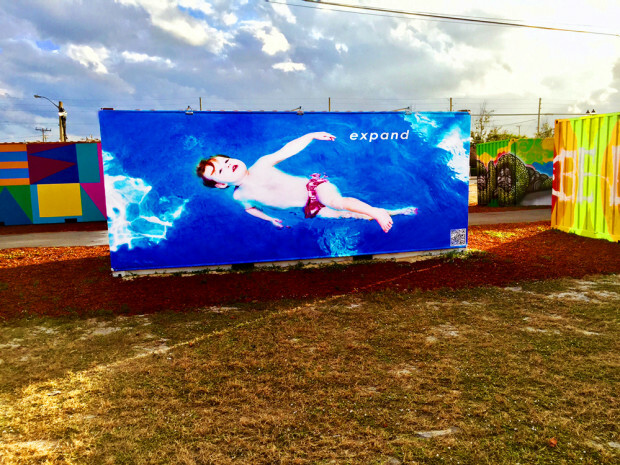 The Artist Team collaborated with Nicole Henry, the Founder of Canvas Outdoor Museum; Sybille Welter, Art in Public Places, Coordinator for City of West Palm Beach; and Jasmine Etienne, CRA, Marketing & Special Events Manager. The Celestial Babies Project is truly a Collaboration. The Magic in Art and Design occurs when it comes from Inside/Out. The Celestial Babies Series has been a nine month project. Working with Krista Simpson, the ISR Infant Swim Instructor, the wonderful swimming baby Natasha Laramie, and her family. 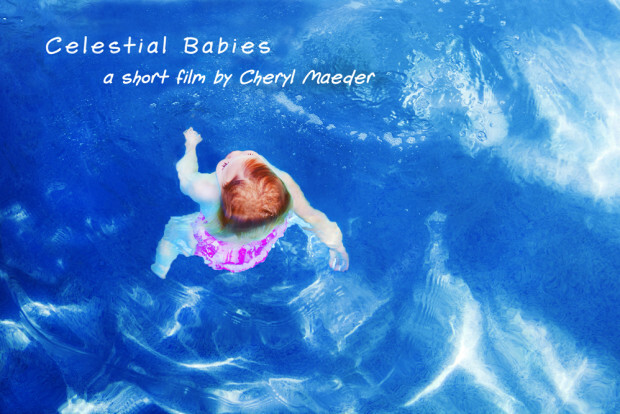 The incredible collaboration editing the Celestial Babies Film with Mary Tidy-Coyle and working with the entire team to make this Project happen, has been a deeply rewarding experience.